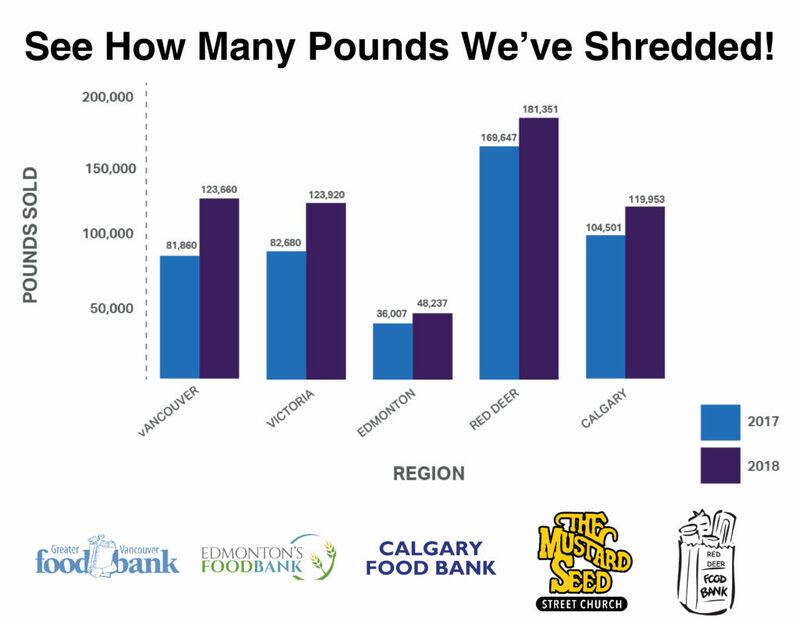 Shred Hunger This Holiday Season – We Shredded 600,000lbs for the Food Banks! We know that Food Banks have the ability to stretch donations from the public. Many Food Banks report that every $1 donated equals $5 worth of food that can be distributed to families in need. BEST Shredding is proud of the efforts that our amazing clients have made through our Shred Hunger Food Bank campaign. By donating $0.01 per pound of paper shredded over the month of November, we have been able to beat our 2017 pounds shredded number by 125,426lbs! We would like to thank everyone who participated in this amazing cause and look forward to helping a food bank in your area this holiday season. Stay up-to-date on the latest news and shredding promotions at BEST!